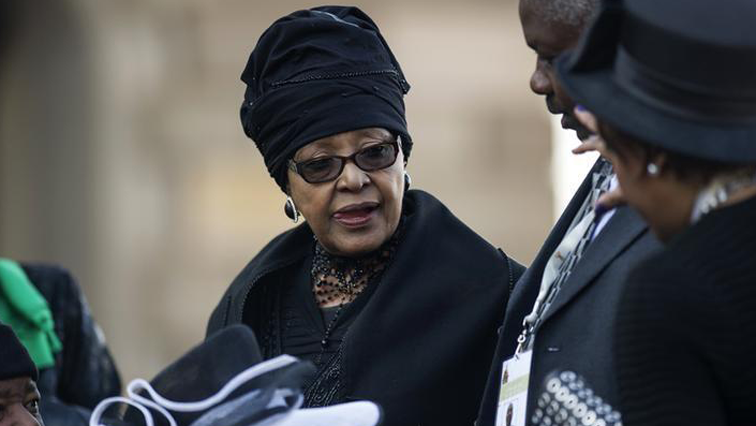 ANC to launch Winnie Madikizela-Mandela Day of Service - SABC News - Breaking news, special reports, world, business, sport coverage of all South African current events. Africa's news leader. Winnie Madikizela-Mandela passed away last week at the age of 81. She will be buried on Saturday. The African National Congress (ANC) will on Thursday launch the Winnie Madikizela-Mandela Day of Service in Orlando, Soweto. This forms part of the 10-day programme of celebrating the life of Mama Winnie who dedicated her life to the service of the people, in particular the downtrodden. The launch will include the starting up of Winnie Mandela food gardens which the party envisages to be rolled out throughout the country as well as renovation work at identified child-headed homes and homes for the elderly in the area. The programme is in keeping with the ANC resolution on the economy and the land from the 54th National Conference calling for the implementation of radical socio-economic transformation and to “ensure [that] land reform enhances food security for poor families and maintain food security for South Africa as a whole”. According to the statement the programme gives expression to the struggle waged by Madikizela-Mandela to better the conditions of those that are marginalised in society. The ANC has encouraged South Africans to work their land in their yards, schools and villages and to produce their own food in honour of Mama Winnie Madikizela-Mandela. Earlier today, South Africa has paid a moving tribute to the late Mama Winnie Madikizela-Mandela at a memorial service at Orlando Stadium in Soweto. Thousands of people from all walks of life attended the memorial service to honour the woman known as the Mother of the Nation. President Cyril Ramaphosa have declared a special official memorial service and funeral for her. It was a moment to celebrate the life of one of the country’s foremost struggle stalwarts. Deputy president David Mabuza said she had set an example to be emulated. Perhaps the most moving of the tributes came from her personal assistant, Zodwa Zwane who recounted her last moments with Ma Winnie. Called the Mother of the Nation, even her grandchildren and great grandchildren had fond memories.